Upgrade to Infor CRM v8.3 and take advantage of what Mobile v3.4 has to offer! Offline access offered for the first time ever – offline, prep for my day, on-demand briefcase model, and recently accessed records. 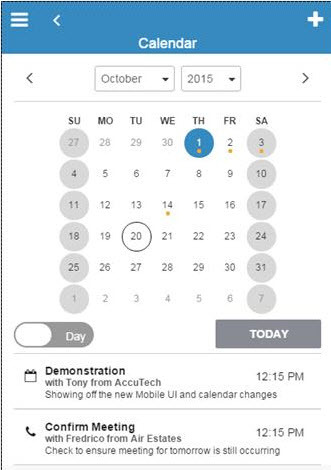 Calendar improvements for easier and faster appointment creation. New KPIs for last sync time and helpful statistics enable users to know what is in their list. New controls providing relative date formatting, simpler date/time selection, and modal dialogs and views. Back office support for Quotes and Orders when used in an ERP integrated mode. Plus – Mobile v3.4 also sports the SoHo User Interface for a clean, modern look. And first of all thanks for this article. Do you know how can we manage the language in this version?